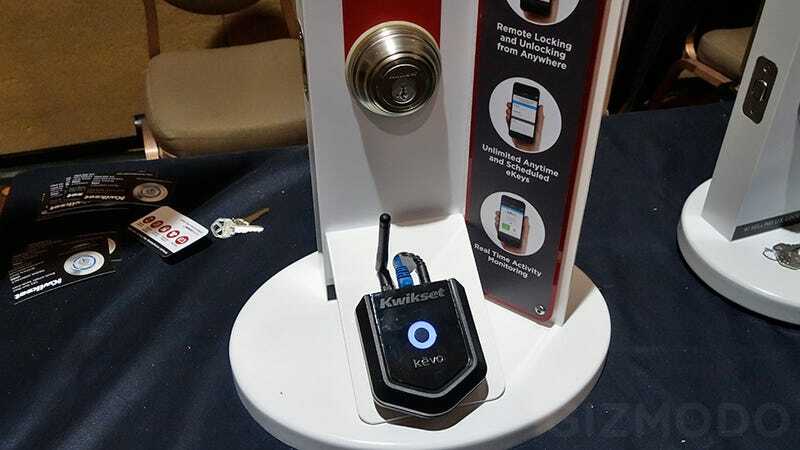 Unlocking your front door from a smartphone app isn't a terribly new idea, you can even electronically send keys to people you want to have access to your home while you're away. But Kwikset is updating its Kevo Bluetooth front door lock with new hardware that lets you lock or unlock your front door from anywhere on earth you have mobile data on your smartphone. The Kevo Plus upgrade means the person you're granting access to your home while you're away doesn't need to have a smartphone to get in the front door, or the Kwikset app installed. So it's perfect for letting your technologically-challenged parents in to water the plants while you're on vacation, or letting in a plumber you've hired when your dish washer sends notice that it's started leaking.